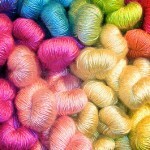 Knit and crochet are all about the connections. In both arts you create a loop which then attaches to another loop next to it, and to the loops above and below it. And in recent years I’ve especially noticed how knitting has created human connections for me as I’ve become part of knitting groups, both for social and charitable purposes, and attended knitting classes, retreats and conventions. Inspiration is everywhere at these events. It’s dizzying to just watch the other attendees in their wide variety of garments of every color and pattern. Just sit in the lobby and watch the parade of people. 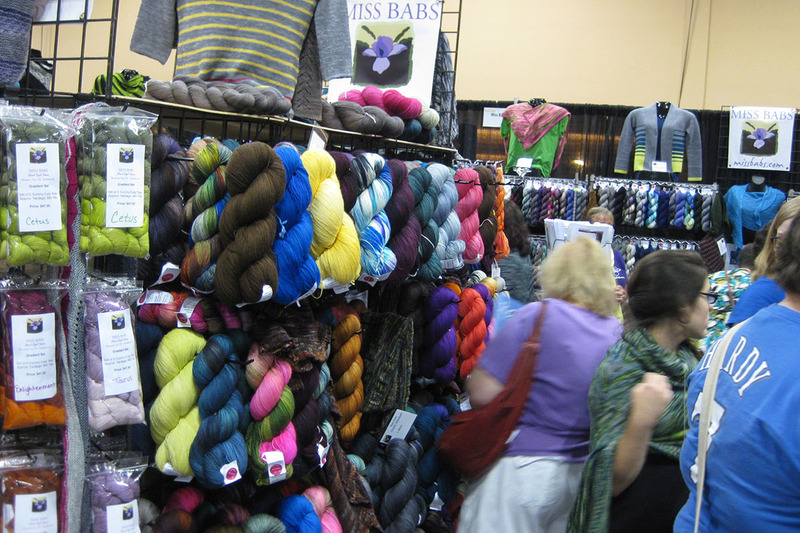 Then walk into the marketplace and tour the vendor booths. Many have examples of projects worked up and some are even wearing them. Here’s your chance to shop vendors you’ve previously only found online (Miss Babs, anyone?) and maybe even score a great bargain! 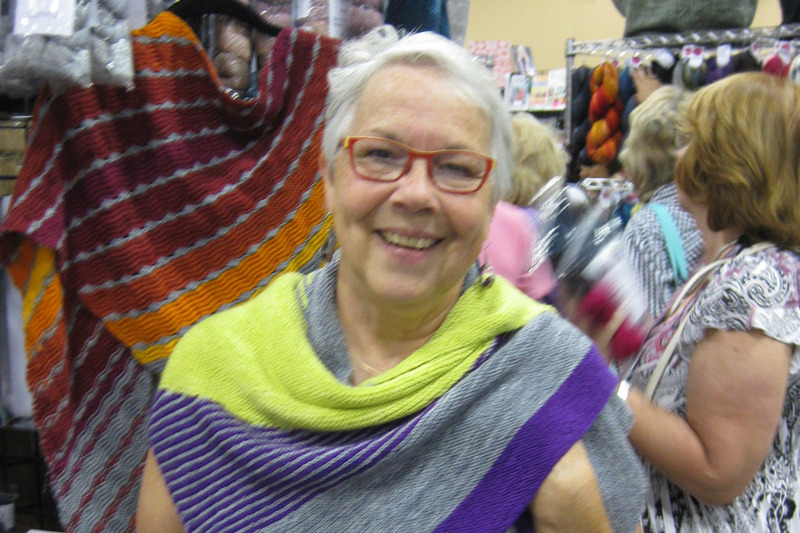 You might even have a chance to meet people who have inspired you with their patterns, books, etc. I had the chance to pose for a photo with Stephen West while wearing his Exploration Station shawl from a knit-along last year. Of course, taking classes provides inspiration and knowledge and hopefully a bit of fun. Is there a new skill you want to master? Look carefully at the class description and note any prerequisites. I took a sock designs class that was aimed at those of us who want to create our own, but a couple of people in the class had never knitted socks and hoped to learn that skill. And make sure that you have the supplies called for in the class description. If it says you need a pencil, chances are good that there will be an activity using a pencil (e.g. creating your own charts). Lastly, the conference rooms can be chilly with the air conditioning on, so be sure you have a shawl or jacket to put on no matter how hot it is outside. It can be tempting to take every class that interests you, but I like to leave some spare time in my schedule. 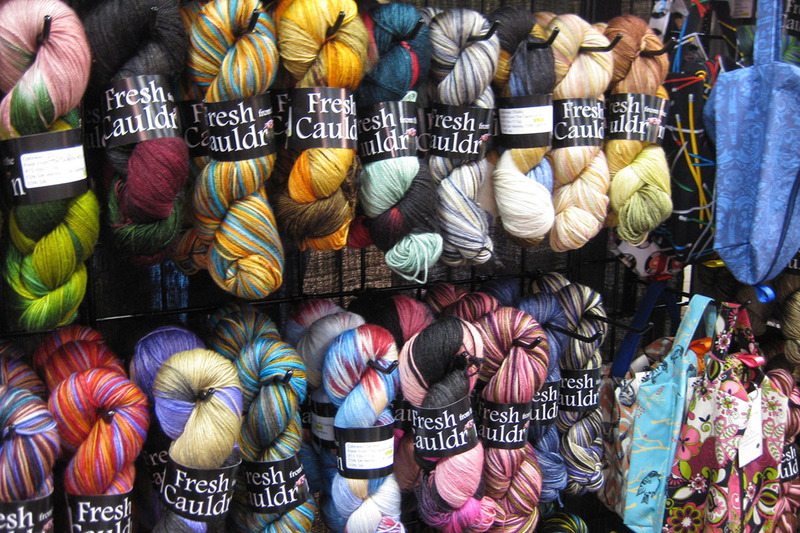 For one thing, you might need to recover from yarn overload after shopping the marketplace. It can overwhelm a person and require time to regroup and plan a second, perhaps more focused, shopping foray. 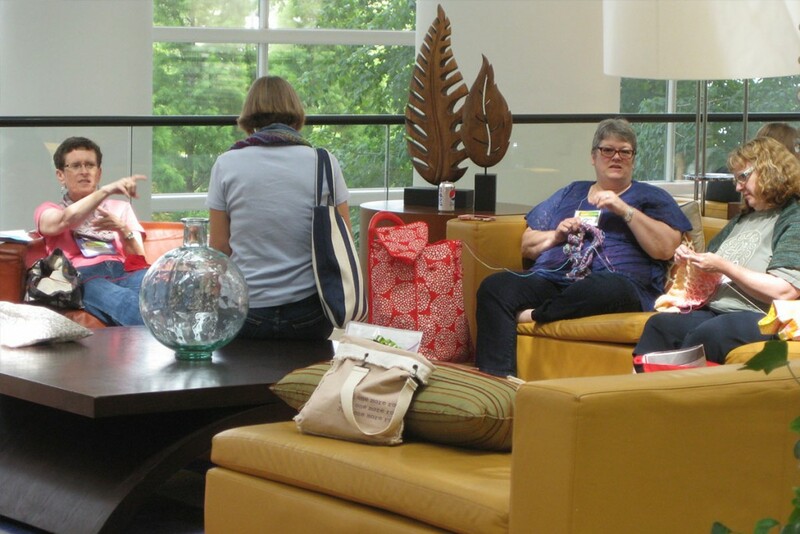 I also like to have time to sit with other attendees in the lobby and knit, talk and exchange ideas. It’s in these informal, relaxed times when I’ve made some of the best connections. 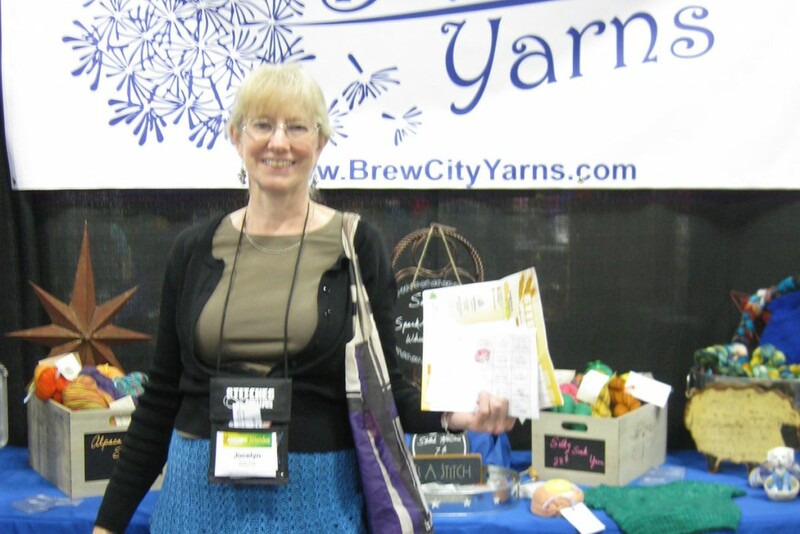 Where do you like to go to commune with knitters or crocheters, yarn and all kinds of supplies? What connections have you made that you treasure? I’d love to hear about them.